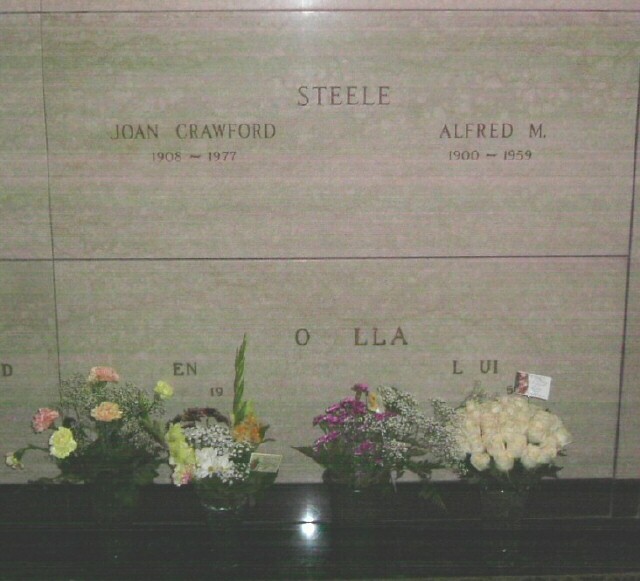 Fans of Joan's have contributed to flowers for her Ferncliff crypt via this website since 2005. 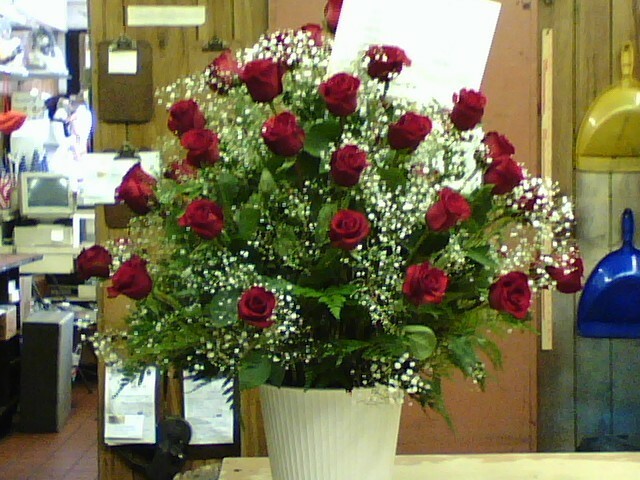 In even-numbered years (2006 and 2008), we had flowers delivered on her birthday, March 23. 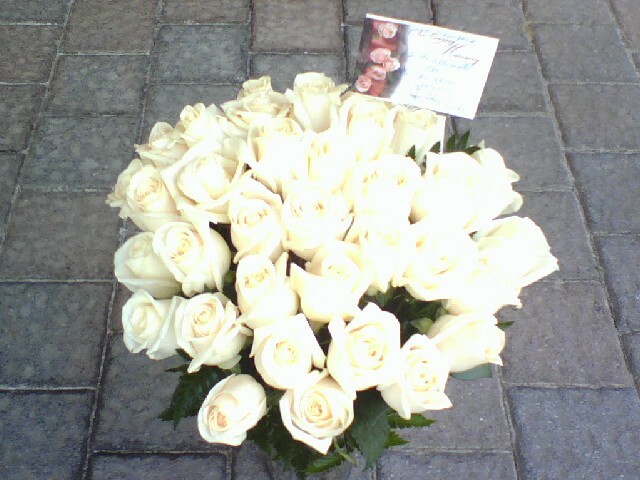 In odd-numbered years (2005, 2007, 2009), flowers were delivered from BOE on her death-date, May 10. On March 23, 2009, other fans presented their own birthday tributes. I personally delivered your floral tribute of 36 White Vendella Roses Arranged in a Vase to Ferncliff and according to your specifications, on Saturday Afternoon at 4:25 P.M. 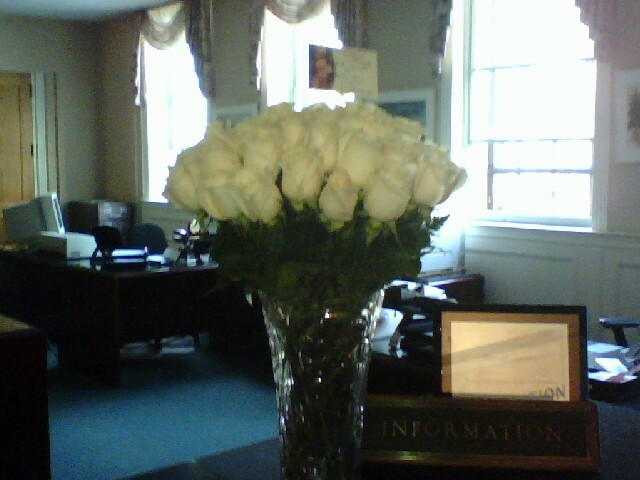 Your Roses were left in the office on their front desk so that, they could place them in front of Joan's crypt and anytime on Sunday, at their convenience. I purposely delivered them as late as possible on Saturday so that, they would be extremely fresh and beautiful for Monday, March 23rd. Attached, please find three photo images which I took with my camera phone. I apologize for the quality of the images, but I felt that, you would like to get a feeling for what we delivered. Thanks again for trusting us with the honor of helping to celebrate Joan's Birthday. She was a really great actress, and her memory lives on forever, thanks to you and Stephanie. P.S. I sent a copy of this email to Stephanie as well, since I know that, she appreciates your remembrance. There were 4 arrangements and I took a couple of photos...all the flowers were lovely. Our arrangement is the second from the left and it was actually really pretty yellows and greens. I had tried to choose colours that would have suited Joan's apartment. It was nice to see how Joan had been remembered. 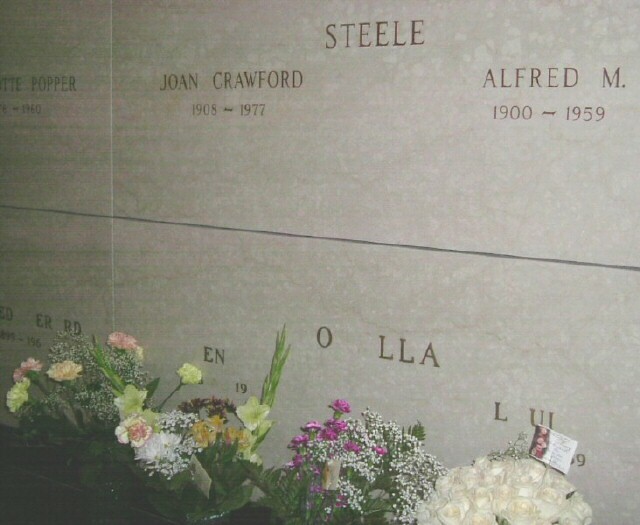 In honor of the 32nd anniversary of Joan's death this May 10, sixteen fans from around the world donated close to $400 through this website to have 4-dozen "Grand Beauty" roses delivered to Joan's Ferncliff crypt.